Leading pizza franchise Papa John’s has marked a new addition to its growing franchise network with a new Uxbridge outlet opened by existing franchisee Zahid Sadiq. The official opening which took place on Saturday 31 August was attended by the local mayor of Hillingdon and councillor Alan Kauffman, and also included a ‘pizza party’ with a limited number of free pizzas given out to visiting customers. 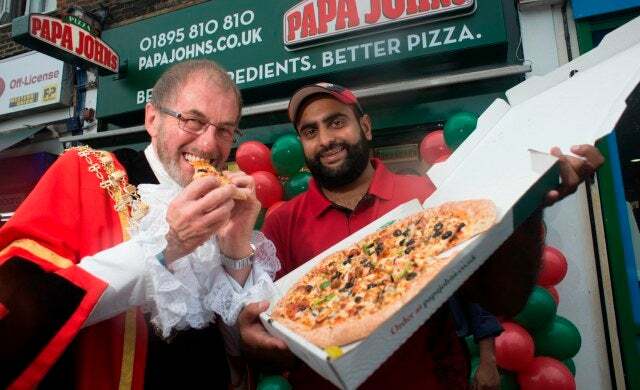 The opening is one of many recent new Papa John’s stores across the country following the success of its $2m incentive scheme with 20 new UK sites planned for launch over the next six months.